Am I losing the innocence? Are you able to control instant pulse generated? Heard something interesting over TV, while you were reading. Can you continue reading without looking at TV? These are two instances. 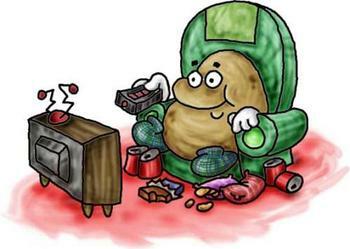 If one can have a pause in between these two, he/she can decide her next action, whether to look at TV or continue reading or something else. Our usual reaction will be to look at TV. May be after some time only, we will be realizing that we were distracted from reading, by our instant pulse. May be, that is our innocent reaction to watch TV. May be, that is our lively response. Now, isn’t it a bit rude upon ourselves, if we are controlling those instant pulse? Or is it like I am getting saturated? Our interests towards certain liking distract us! You can be saint when you know who you are! and how will you think ourself, when that liking can’t distract you? You have to! When you think and keep yourself happy and you can easily make the surroundings happy! So it’s better to start from us! If you have more self control, nothing can distract you to a certain point! Most saints live in the forest to avoid distractions! hmm..so let me find my forest.. he he lol..
okay 🙂 Be aware of animals until you get used to them in the forest! I guess you have many forest in your state so you can easily chose one! ha ha..may be i have to turn a part of my home itself. Maybe you can built it there and you can a live a peaceful life! Thanks you Gama. have a good day.. In reality it’s not gone happen we all have been addicted. Then we wouldn’t be doing justice to both. Mind will be wavering from a lower to higher frequency at random and we would not register anything in the long term memory. ha ha .. so sweet..
so a warm welcome to my blog..
TV is too distracting. It also stimulates so reduces relaxation. I prefer quiet when I need to concentrate, doubt if there will ever be any beatification in my house though…. thank you.. yes, we need to be out of those distracts an concentrate. thank you. Have a nice day. But my concern is THAT TV is not distracting me he he. Your powers of concentration are to be commended … either that, or it’s a very good book! … in which case, sainthood beckons! We are all saturated with the global TV culture … if culture is the right word. We need to keep our simple selves alive. End of sermon. What’s on TV? on tv.. infact, it seems to be forgotten.. It simply means your conscious mind is too heavy and dominant over the sub conscious one and I don’t see any harm with it. Probably you would be getting very less or no dreams at all. dreams, not very often, but recurring dreams. But my doubt was, since we all being human, we have a natural tendency to look at TV, right.. Tv or any thing else which could catch our attention. but what will it be defined if one’s conscious mind is ruling the subconscious mind of senses..? Is that okay .. Will that be a social behavior? Actually Saints don’t bother those comments,they just smile and easily get detached..soo now you can scream loud that you are not saint..
Oooo…do you have devil side too?? ?